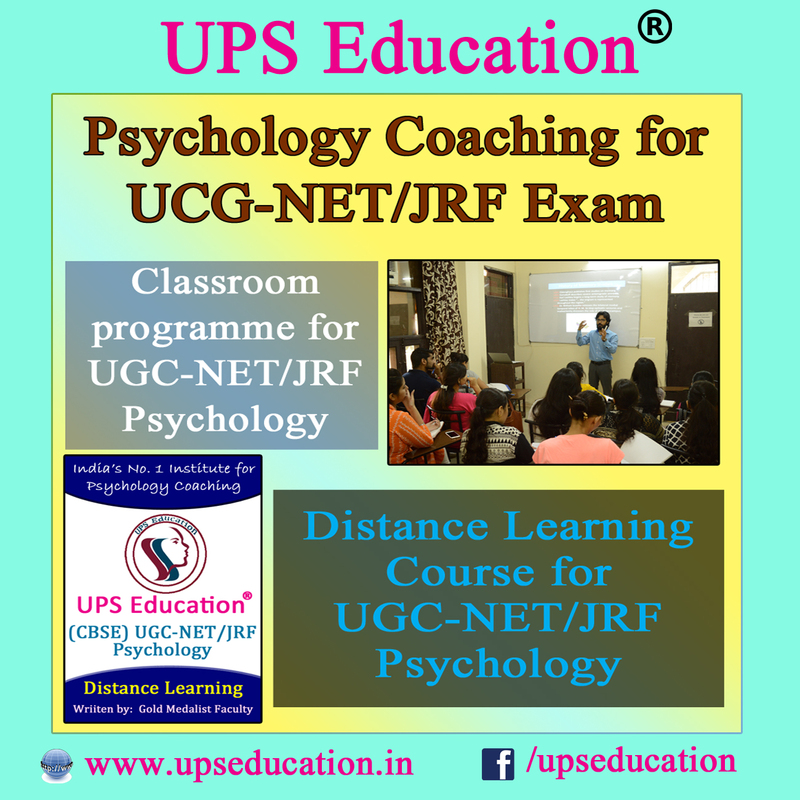 Start your preparation for UGC-NET/JRF Psychology with UPS Education; UPS Education is reliable for Psychology Coaching in India. We have well educated faculty from all over India. UPS Education has classroom programme and Distance Learning course both for UGC-NET/JRF Psychology. You may get detail information from our website by downloading the prospectus. This entry was posted in approaches of psychology, best psychology coaching classes in delhi, CBSE NET Psychology Coaching, NET Psychology Coaching, UGC NET Psychology Coaching on October 7, 2016 by UPS Education.